Dickinson is a city in Stark County, North Dakota, United States. Explore hidden gems such as Little Missouri National Grassland and West River Community Center. 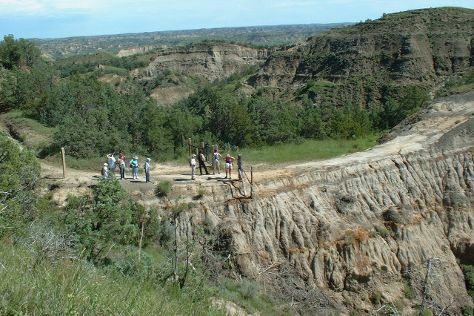 Venture out of the city with trips to Medora (Oxbow Overlook & Maah Daah Hey Trail) and Assumption Abbey (in Richardton). It doesn't end there: see the interesting displays at Ukrainian Cultural Institute. For ratings, other places to visit, and tourist information, go to the Dickinson online itinerary creator. The Route module shows you travel options from your home to Dickinson. In March, daily temperatures in Dickinson can reach 42°F, while at night they dip to 20°F. Finish your sightseeing early on the 19th (Sun) so you can travel back home.